Say Goodbye to Surgical Stents! A surgical stent is something which enables a gap in the implant process to stay open in order to enable dentists to make the correct implants. 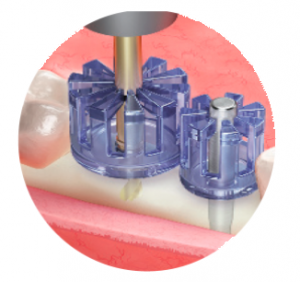 These are often time consuming to set up and can cause an implant procedure to be a lot longer. Introducing the Parallel guides, expertly designed and produced by Hiossen Implant, that could see dentists throwing away surgical stents and bringing in the Parallel guide surgical kit for a better, cleaner and more efficient implant procedure. The initial drill, guide pin, single guide and bridge guide system is all a dentist needs in order to get more precise implants, without the use of a surgical stent.